Offered tap water? Straight away. 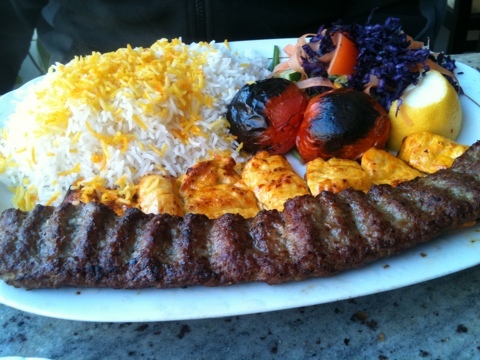 Service: Friendly and helpful, especially considering that Iranian food is a new one for most people. Food: Some of the best street food we’ve eaten in a long time. Surroundings: Pleasant and comfortable. The outside of the restaurant is a bit bizarre as it’s on a rather busy road and it’s quite hard as a pedestrian to walk too. But that might just be me and my difficulty with navigation. However, I can safely say that this was some of the nicest food we’ve eaten in a long time. Don’t get me wrong, this is not some fine dining establishment, this is freshly cooked, large portioned street food. We started with some maust-o-mooseir which is a dip made of roasted shallots, garlic and yoghurt. 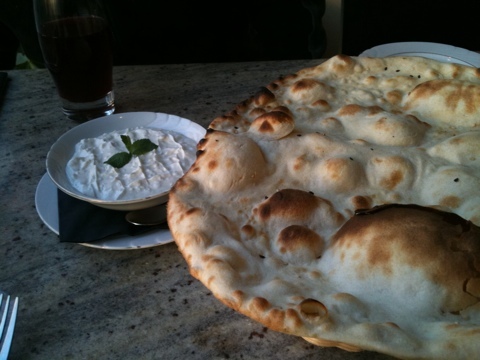 Served with some fresh flat bread. This was light, crispy and doughy all at the same time and was utterly delicious. 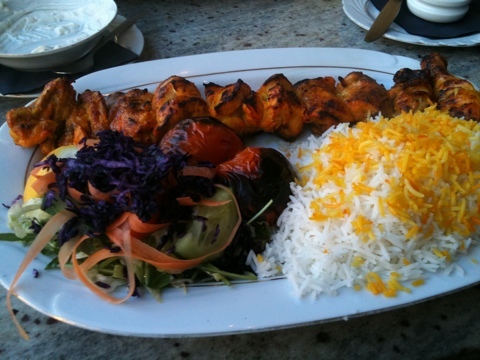 Followed by a kebab with poussin for me. This was amazing, deliciously marinated chicken cooked perfectly. Served with buttery rice and some fresh salad, this huge dish totally defeated me by it’s size and I had the rest for lunch the following day. Simon had a chicken kebab and a lamb kebab. Both of which were succulent, marinated, spicy and delicious all at once. 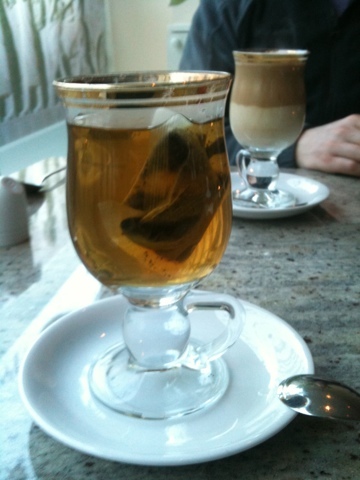 We finished with a latte, peppermint tea and baklava. 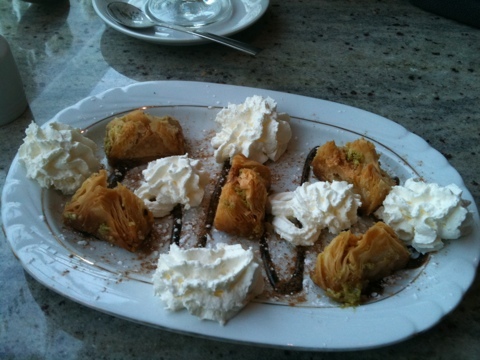 You can’t go wrong with baklava but I was very amused at the serving style. Silly little bits of whipped cream and chocolate sauce. Very amusing. This is probably one of the best restaurants to have near you, it’s very reasonably priced, the food is fresh and cooked exceptionally well, the value for money is exceptional as the portion sizes are huge and it’s 10% off for take away so even better value. I’m quite delighted that we’ve found it and even more delighted that it’s a 20 minute walk away so that I shan’t get too fat visiting it. I really really recommend it and I would take large groups of friends here because the service is just great – friendly and helpful.